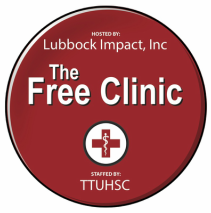 The Free Clinic is an urgent care clinic that seeks to provide free basic healthcare to the working poor and homeless population of Lubbock and concomitantly enhance student education through service to the community. Our healthcare services are offered at no cost to the patient. 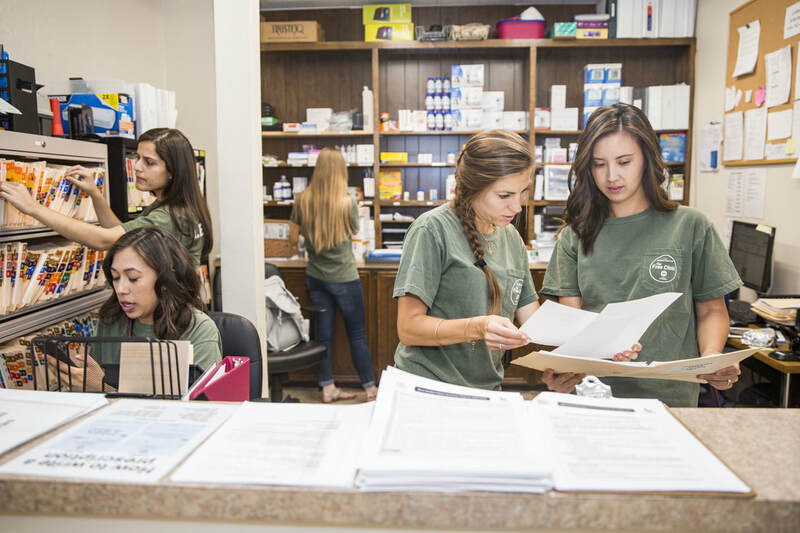 Physicians and medical students from the TTUHSC School of Medicine run the clinic every Wednesday night from 6:00 – 10:00 PM. Our community partner is Lubbock Impact who provides the facility, reception staff, Medicaid counseling, a free meal at 5:30 PM, assists in many costs of associated with the clinic, and offers a clothes closet. Clinic dress and equipment: Business casual preferred. If you wear scrubs, they must have a matching top and bottom. Jeans are permitted, but they cannot have holes, tears or stains. Please bring and wear your red TTUHSC name badge and your stethoscope. If you are a medical student, please register here. In order to volunteer with us as a Texas Tech undergraduate student, you will need to contact the Bernard Harris Pre-Med Society where they can help coordinate volunteer times. Please contact your volunteer coordinator for instructions or contact us at freeclinic@ttuhsc.edu.